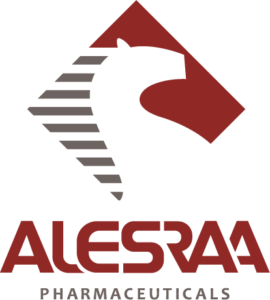 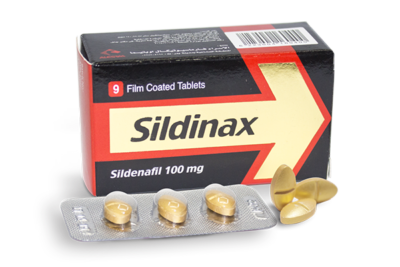 Potent antihistaminic with rapid relief of symptoms. 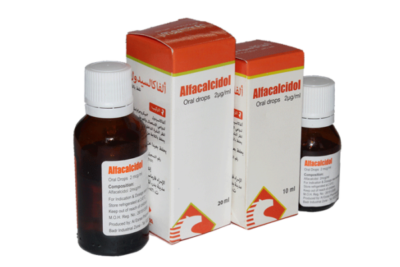 Good patient compliance with 24 hours control. 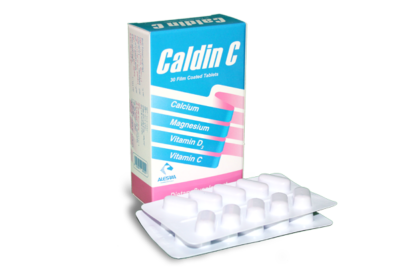 Highly tolerable with no CNS side effects. 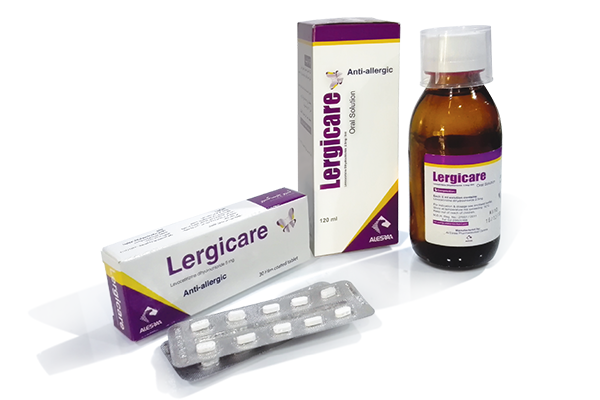 Minimal incidence of drug – drug interaction. 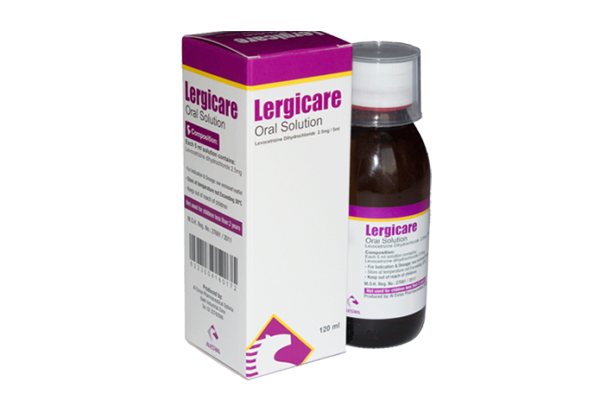 Children 2 – 5 years: 2.5 ml Lergicare oral solution (1.25 mg) once daily in the evening. 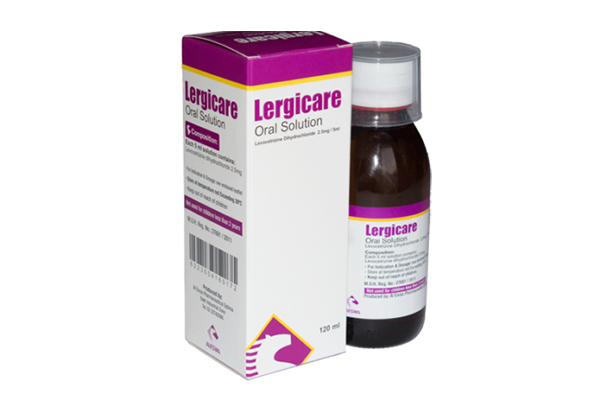 Children 6 – 11 years: 5 ml Lergicare oral solution (2.5 mg) once daily in the evening. 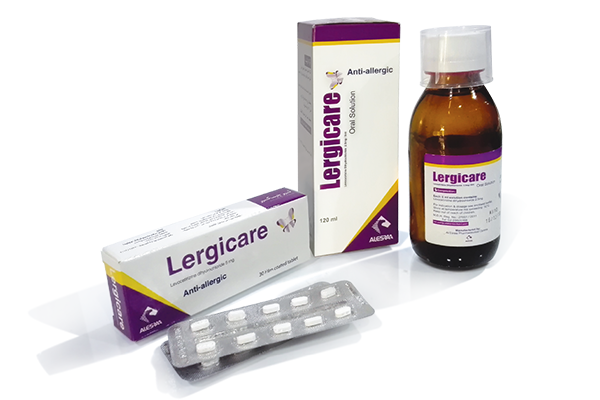 Adults and Children 12 years of age and older: 10 ml Lergicare oral solution (5 mg) once daily in the evening.